The Puget Sound Business Journal and Tech Flash have both reported that Seattle Chef Tom Douglas will be opening more than one new restaurant in the South Lake Union neighborhood on the new Amazon.com campus. The new restaurants will be in the Terry Avenue Building. 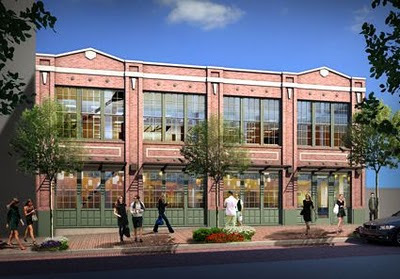 Douglas hasn't said how many restaurants will be opening, but expects them to open in mid-2011. Tom Douglas and his wife Jackie Cross own five of Seattle's most popular restaurants in downtown Seattle: Dahlia Lounge, Etta's, Palace Kitchen, Lola, and Serious Pie. Tom & Jackie also own Dahlia Bakery, Tom Douglas' Catering and Events, and the Palace Ballroom. Tom has helped put Seattle on the national culinary map.